BATON ROUGE, LA (WAFB) - Governor Bobby Jindal declared a state of emergency for the entire state after power outages, flooding and other damage resulted from the storms that passed through Louisiana Monday. Severe weather quickly moved across South Louisiana Monday morning. The National Weather Service (NWS) issued a series of Severe Thunderstorm Warnings, Severe Weather Statements, Tornado Watches and Tornado Warnings as the system made its way through the state. 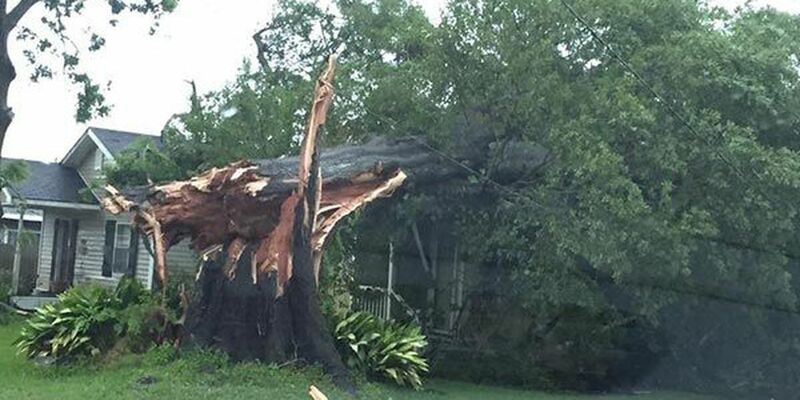 People in several parishes were left without power because of the storms. The high winds knocked down trees and power lines across the region. Roads have been blocked off because of debris and flash flooding. There is a possibility of more severe weather Monday night and Tuesday. NWS meteorologists cannot rule out isolated tornadoes. Flooding continues to be a risk with more rain adding to the current flooding. A declaration of emergency is necessary to allow state agencies to respond to requests for assistance from local governments. Assumption and Lafourche parishes declared their own states of emergencies Monday afternoon.